Lenovo is once again showing the world why they’re the go-to company when it comes to the next potential big thing in the tech industry: flexible gadgets. 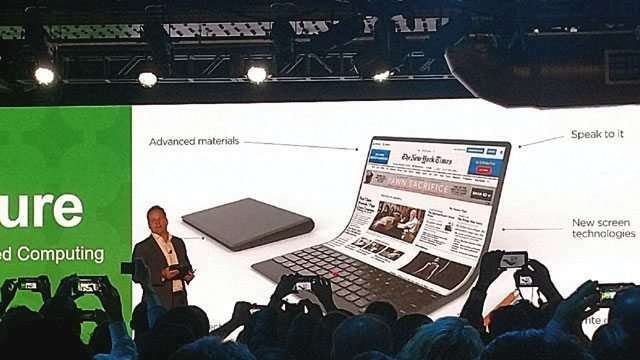 During their Lenovo Transform event in New York, the Chinese multinational company showed one of their laptop designs which boasts this concept. So what’s so different about it? Well, it has a flexible screen. You can also write on the screen while using voice commands to navigate the laptop. This whole flexible screen concept is getting tech junkies excited, but Lenovo actually has more to offer—at least in prototypes—since this isn’t the first time they've given the public a sneak peek of their flexible gadgets. Last year, they actually showcased the tech with working prototypes of their flexible smartphones and tablets (check the 2:57 mark).